L'Osteria delle fornaci offers traditional and authentic Roman cuisine made using products from the local Lazio region; a prime example of this is guanciale di Amatrice (pork cheek from Amatrice), the highlight of unforgettable pasta dishes like amatriciana, carbonara and gricia. 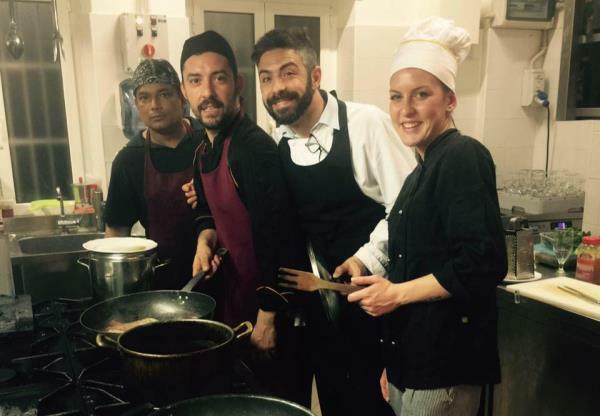 L'Osteria delle fornaci, just a few steps from the picturesque dome of St. Peter's, only opened recently but boasts a chef with over 15 years' experience in catering. At our restaurant, you will experience the quality and taste of our recipes in a welcoming and familiar atmosphere that characterises L'Osteria delle fornaci. For us, the Roman culinary tradition is a great source of pride, and we prepare all our dishes according to traditional recipes in order to maintain their authenticity.